Singapore is a bustling and dynamic city - in fact, there is a major event taking place every month in Singapore! 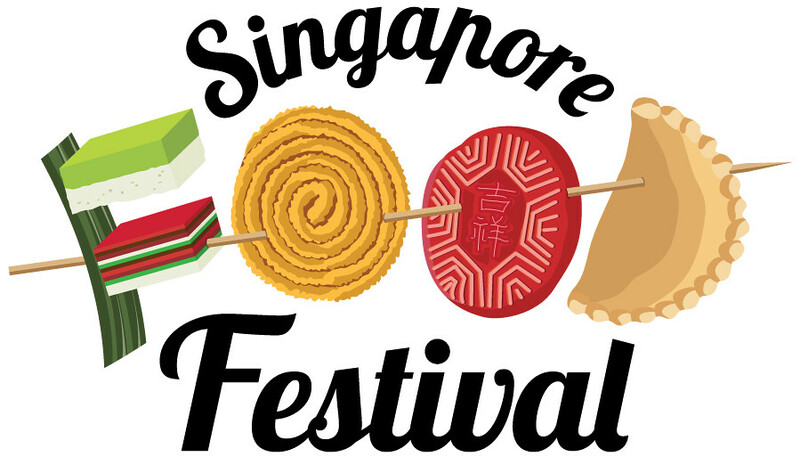 For the month of July, we have the Singapore Food Festival running from 15 to 31 July 2016. 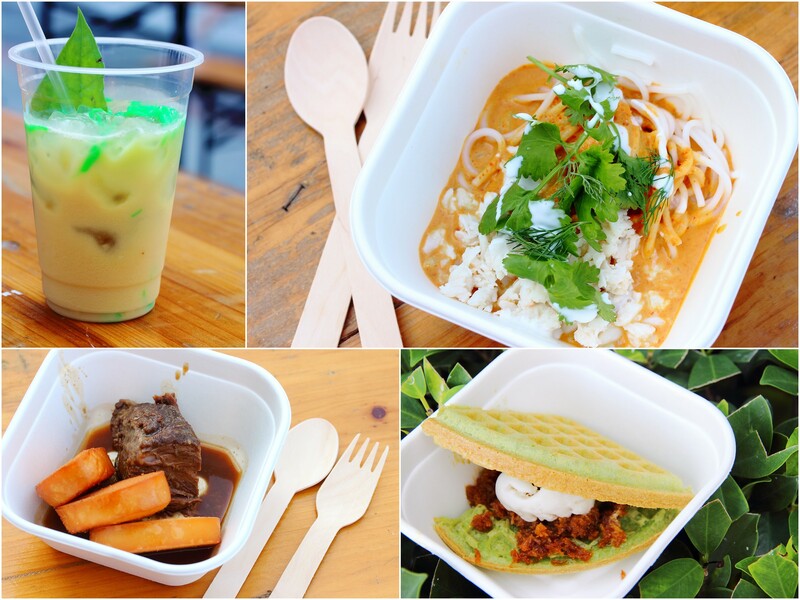 During the festival, you can experience 18 different dining events all over Singapore. 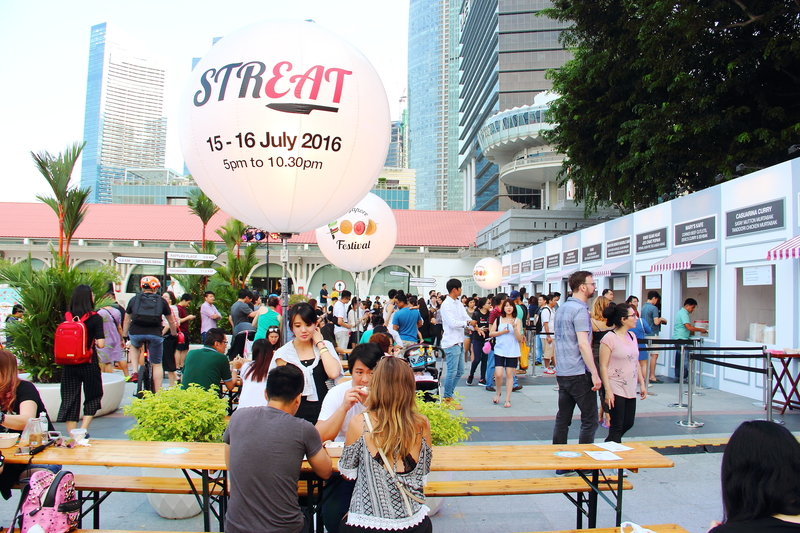 Kick-starting the Singapore Food Festival is STREAT 2016 which took place from 15 to 16 July 2016 at Clifford Square. 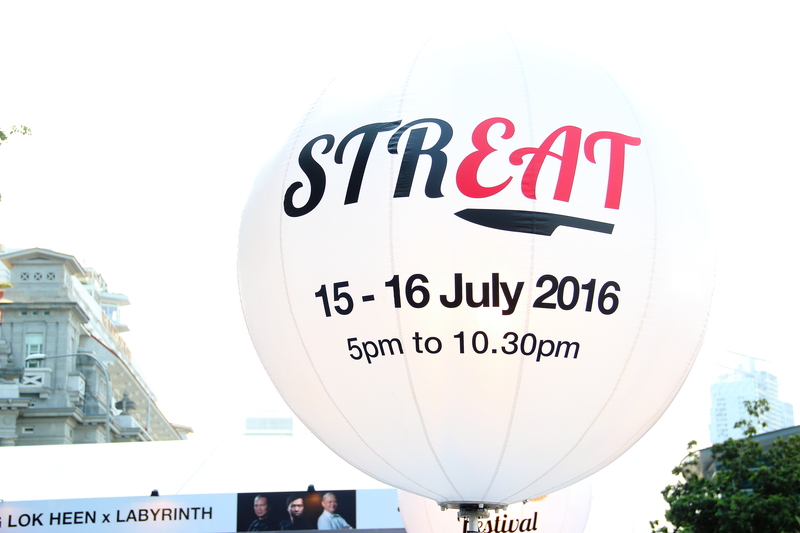 STREAT 2016 is curated by international celebrity chef Susur Lee, Tunglok Heen's Senior Executive Chef Ken Ling and Restaurant Labyrinth's chef-owner Han Liguang. The three chefs joined hands in helming a pop-up restaurant featuring an exclusive, five-course, six hands dinner menu that aims to elevate Singapore's iconic street food. 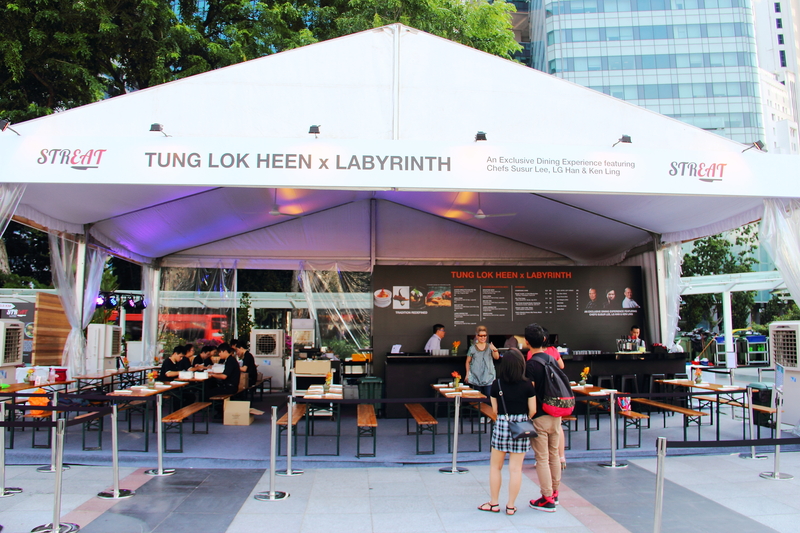 A stellar selection of hawkers and chefs also joined the trio, setting up stalls alongside the pop-up restaurant at Clifford Square in celebration of our dining scene. 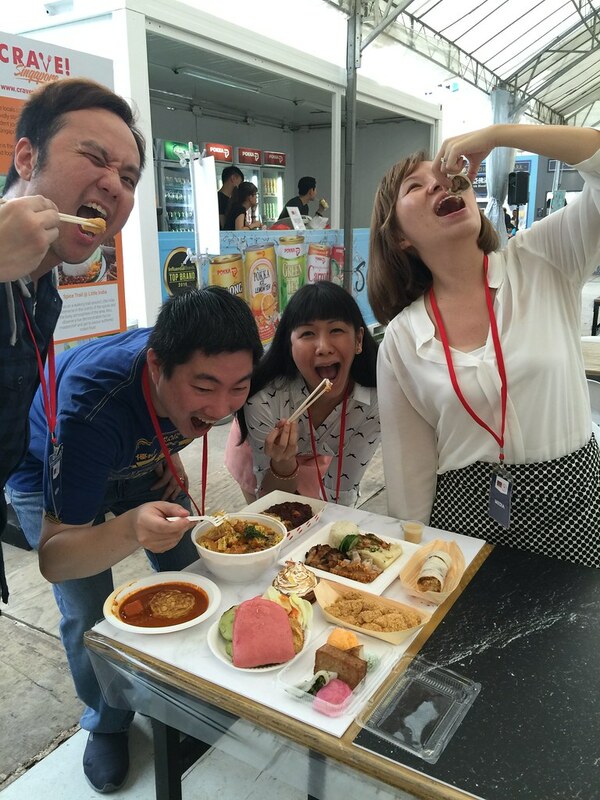 After checking out the modern interpretation of Singapore's iconic street food at STREAT 2016, I headed down to East Coast Lagoon Food Village, Hawker Spotlight on 17 July to learn more about the rich history behind our local heritage food through a guided tour led by celebrity host Moses Lim. 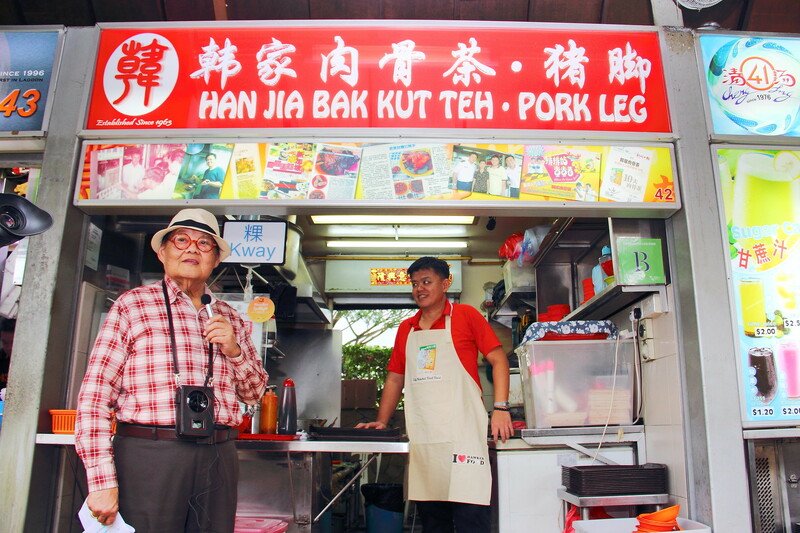 Besides getting to know more about the heritage hawkers at East Coast Lagoon Food Village, we got to watch live cooking demonstrations of the hawkers working in the confined area of their stall. 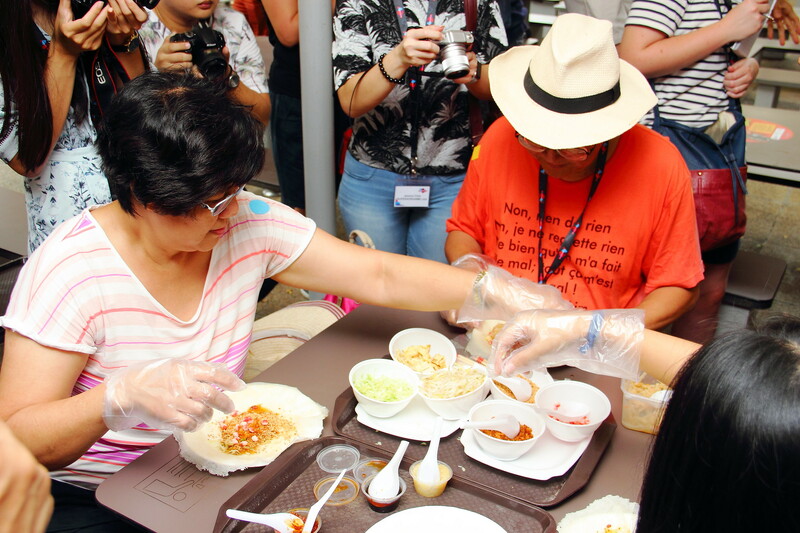 Some of the participants even got to learn how to roll popiah. 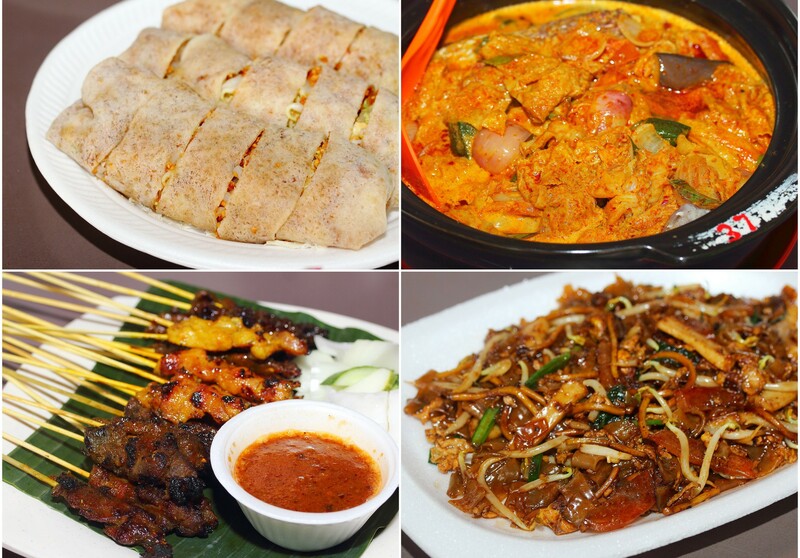 After the tour, we get to savour some of the delicious local dishes that can be found at East Coast Lagoon Village such as Popiah from Lagoon Carrot Cake, Curry Fish Head from East Red Seafood, Satay from Haron's Satay, Bak Kut Teh from Han Jia Bak Kut Teh and Char Kway Teow from Choon Hiang. 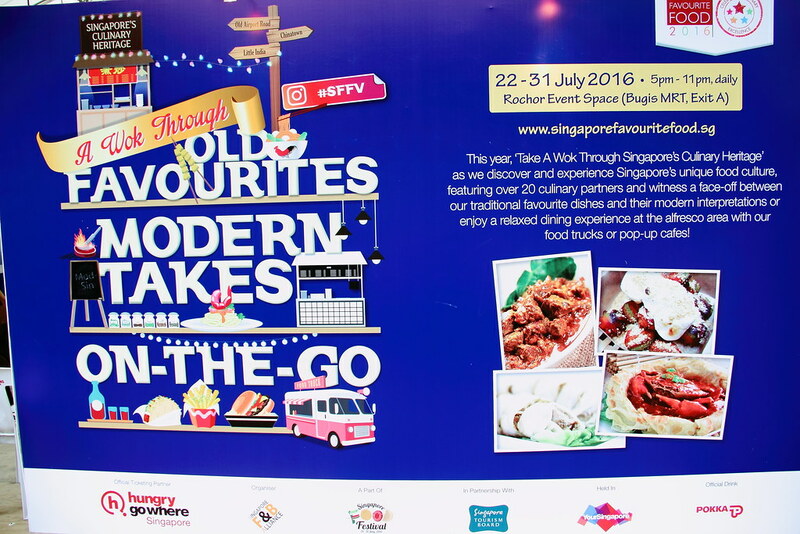 One of my favourite events at this year's Singapore Food Festival is the Singapore Favourite Food Village which is taking place from 22 to 31 July 2016, 5pm - 11pm at Rochor Event Space (Bugis MRT Exit A). 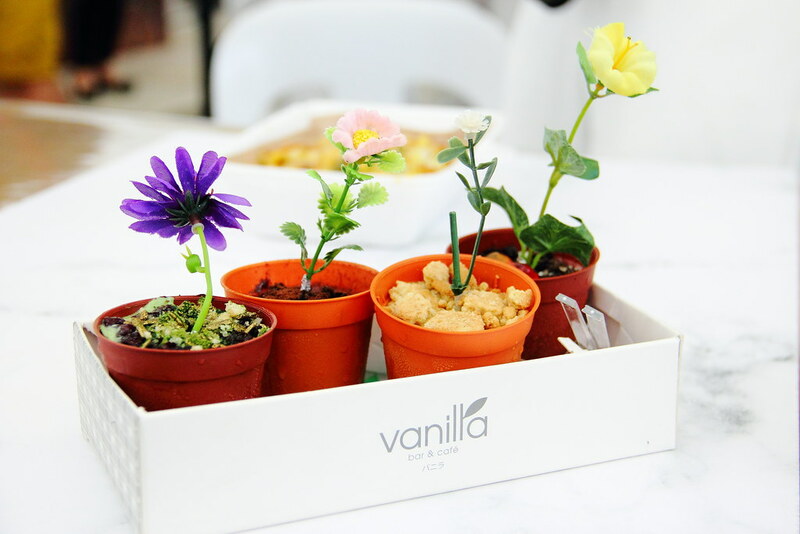 There are a total of 25 stalls at the food village, offering a mix of traditional favourite dishes and modern interpretations of these dishes. There is even an alfresco area with food trucks and pop-up cafes. 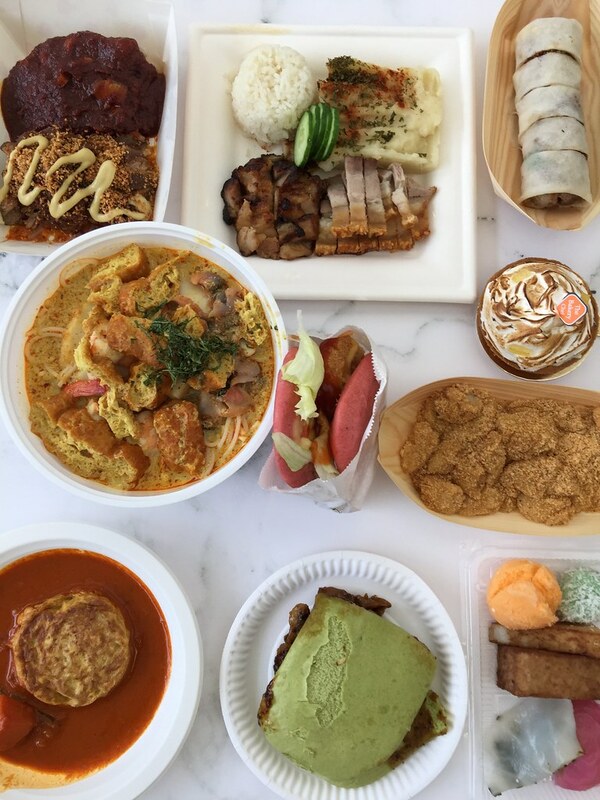 The Singapore Favourite Food Village is an ideal venue to gather with like-minded foodie friends and families to savour an eclectic selection of local favourites as well as some modern interpretation and Instagram-worthy food. 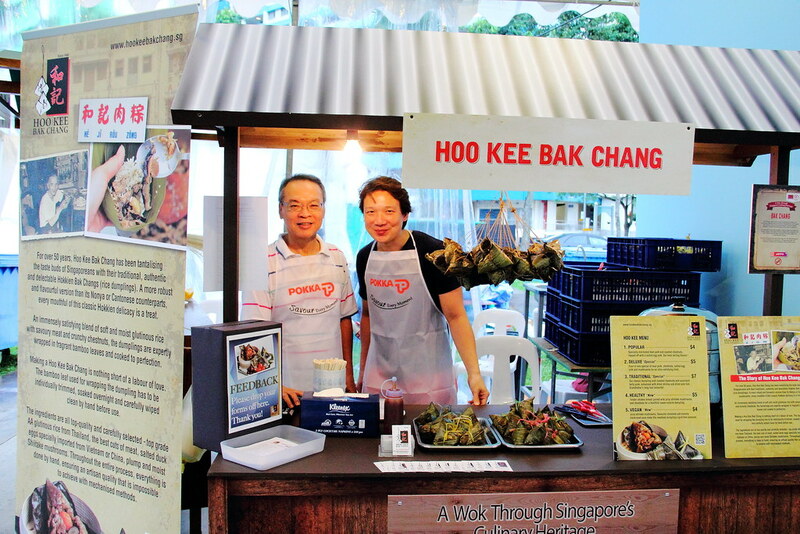 A special mention goes out to one of the vendors - Hoo Kee Bak Chang - who has just been awarded Michelin Bib Gourmand in the first edition of Michelin Guide Singapore 2016. 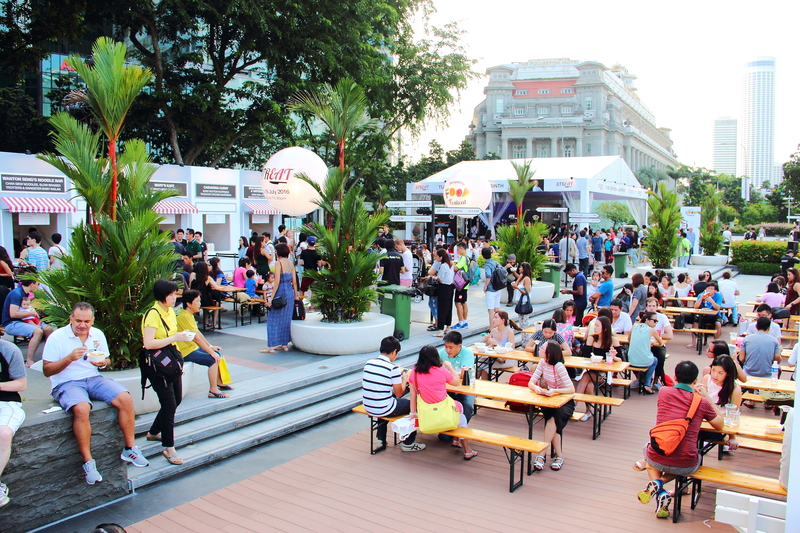 These are only 3 of the events that I have attended, but there are still many events that are taking place during the Singapore Food Festival, until end of the month. 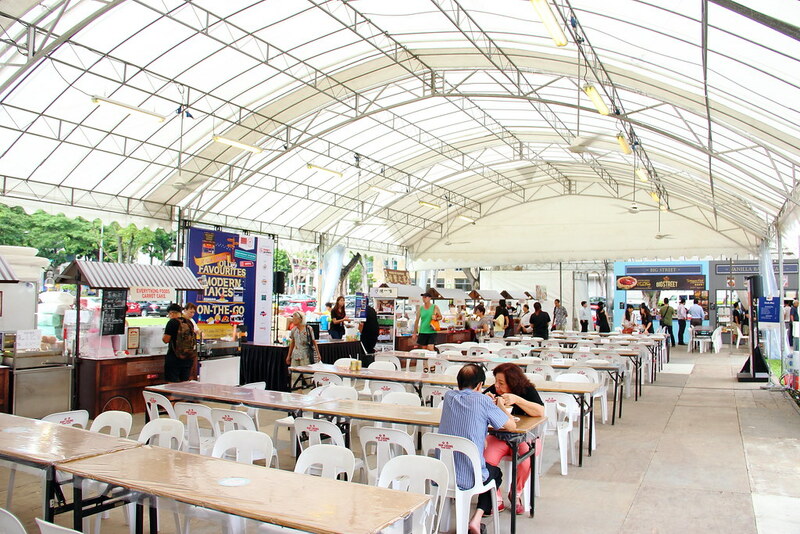 You can find out more of these events at http://www.singaporefoodfestival.com or check out the individual event websites. 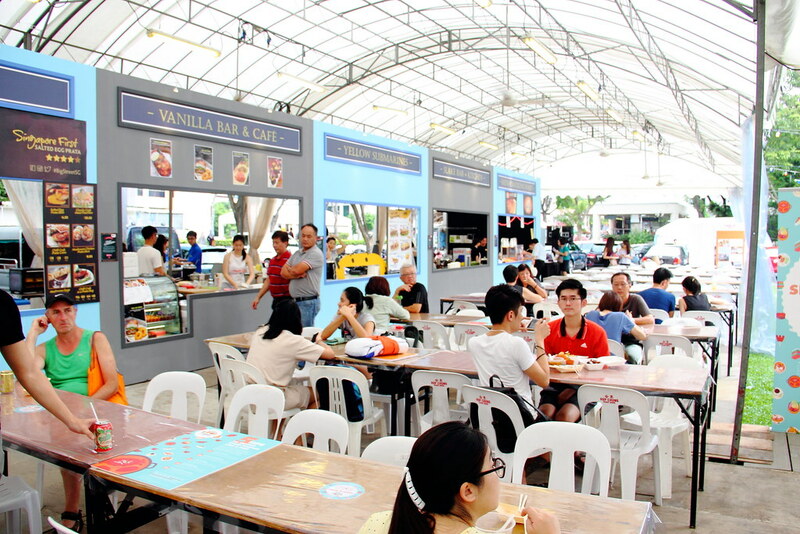 One Farrer’s Food Street will recreate the great food stalls that once lined the roads of the Farrer Park district. While this is a recurring event, July’s edition will be a SFF special, with a focus on local heritage cuisine with unique fusion creations. 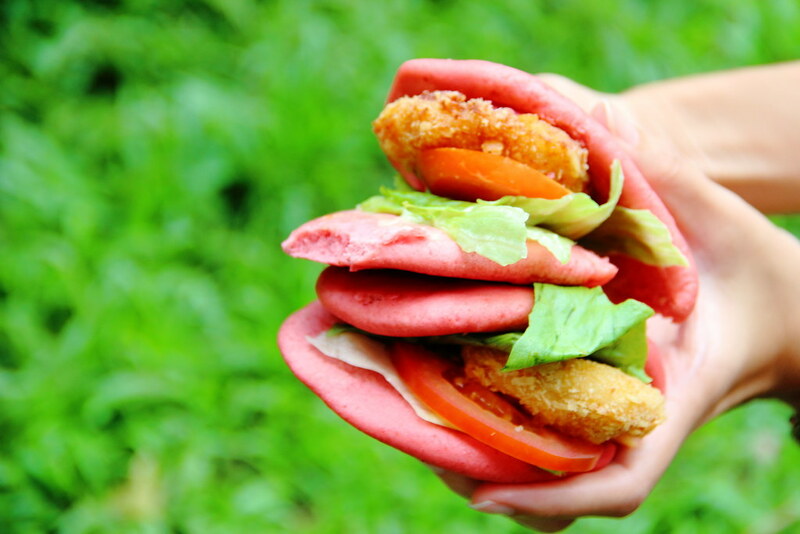 Pop-up food stalls will feature local food that was originally from Farrer Park Area such as Hokkien Prawn Noodles and Rojak, as well as innovative dishes like chilli crab pie. Executive Chef Kong Kok Kiang will also be serving snacks using recipes from his family, such as Png Kueh Ball and Turnip and Peanut Fritters. Relive the nostalgia of dining along the shophouse-lined streets of Singapore! Chinatown Food Street will be transformed with street hawkers, lively music from a bygone era, buskers and costumed entertainers. Dishes include Kok Kok Mee, Ice Ball and Trishaw Noodles. Part of this year’s Singapore Garden Festival. The Indian Chefs and Culinary Association, Singapore Halal Culinary Federation and Food Gen 2 hawkers are coming together to serve up various ethnic dishes at the Gardens by the Bay. Two of the 24 stalls will also feature rotating guest chefs. 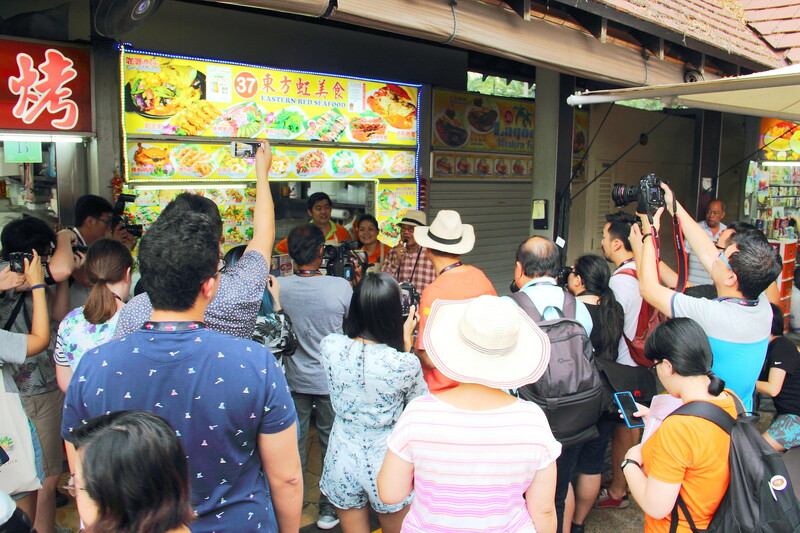 Taste the legendary Chatterbox Chicken Rice, often listed as among the best in Singapore, at a location near you, as the Chatterbox Pop-Up truck rolls up to several locations around Singapore during SFF 2016! In celebration of the restaurant’s 45th anniversary, the chefs from Chatterbox will also whip up special versions of the Mandarin Chicken Rice, such as chicken rice maki.